In the southern reaches of the Sangre de Cristo Mountains, where the Pecos River opens into a scenic valley east of Santa Fe, NM, lay the ruins of an ancient pueblo that dates to 800 AD. Perfectly situated between the Rio Grande pueblos and lands traversed by Plains Indians, the Upper Pecos Valley was a trading crossroads for hundreds of years. 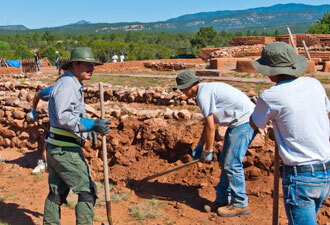 Today, the pueblo site is one of several important cultural landscapes that constitute Pecos National Historical Park. Here you can sense the rhythms of a long-gone native way of life, contemplate regional cultural changes brought about by the arrival of the Spanish in 1540, and grasp the significance of regional ranch history. You can see trail ruts and a stage stop from the Santa Fe Trail that also served as Union headquarters for the Battle of Glorieta—all the while enjoying New Mexico's sun and pleasant weather. With its natural features, including the Pecos River for fly-fishing and more than 100 species of birds, its historic structures, and its cultural landscapes, Pecos National Historical Park is a destination for all people in all seasons. Start at the visitor center where you'll find trail maps, museum exhibits, and a 10-minute introductory film to help you get your bearings. Make sure to spend some time exploring the park's fine museum that provides context for all of the park's stories. You might talk with a ranger, take a guided tour, revel in the surprising mix of history and culture, or enjoy a scenic drive from the visitor center to the Civil War battlefield trail. That's right, there was once a Civil War battle here. Most visitors to the park don't realize what an important role this Southwestern region played in the Civil War. The Confederate plan for the West in 1862 was to raise a force in Texas, march up the Rio Grande, and take Santa Fe. Turning northeast on the Santa Fe Trail, troops would then capture the stores at Fort Union, head north into Colorado to seize gold mines, and then turn west to take California ports. That plan changed in March 1862 with the three-day Battle of Glorieta Pass, when it became clear that New Mexico would remain under Union control for the duration of the Civil War. You can learn much about the battle when you walk the 2.3-mile Civil War Battlefield Trail—you'll want to stop at the visitor center for a gate access code and trail guide before setting out. To share the experience, join a ranger-led van tour of the important sites of the Battle of Glorieta Pass. Back at the visitor center, a beautiful building made possible by funding from park benefactors Greer Garson and her husband, Buddy Fogelson, you can delve more deeply into other sites of interest. Perhaps you can join a scheduled tour of the Forked Lightning Ranch house, built for rodeo impresario Tex Austin by the architect John Gaw Meem and later owned by the Fogelsons. Explore the Santa Fe Trail stage stop and trail ruts and other remote sites that are accessible on ranger-led tours, including Arrowhead Ruin and the Lost Church. 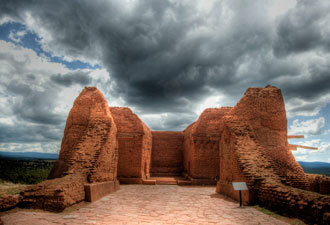 Pecos National Historical Park is a hidden gem, located 25 miles southeast of Santa Fe, New Mexico. 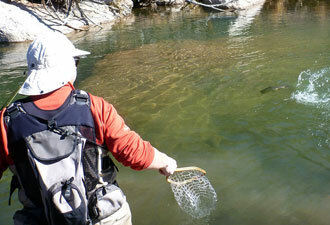 Learn more at www.nps.gov/peco or by calling 505-757-7241.